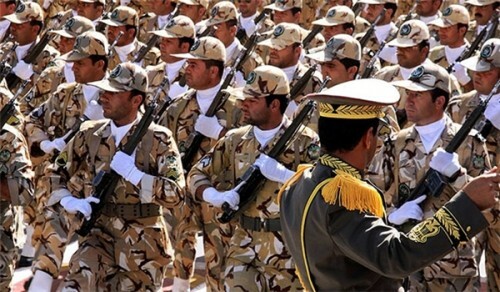 Iran is displaying military strength on National Army Day, with parades by its armed forces and speeches by political and military leaders. 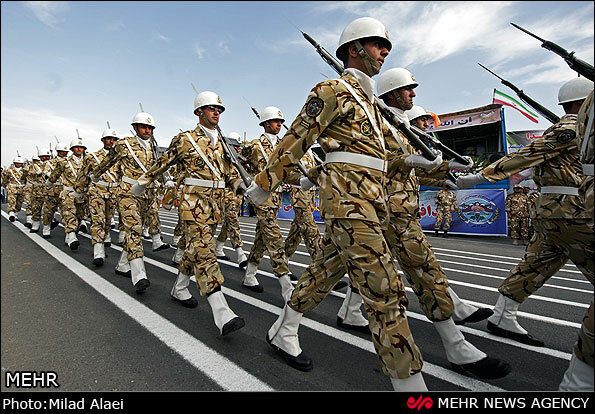 Fighters, bombers, and helicopters flew over the crowd as the units of the Islamic Republic’s army, founded on this day in 1979, marched past the reviewing stand. Mehr has posted 82 photos of the parade. President Obama has signed into law a ban on entry to any UN ambassador whom the US says has engaged in “terrorist activity”. The legislation is aimed at Iran’s new Ambassador to the United Nations, Hamid Aboutalebi. Congress adopted the measure after critics said Aboutalebi was prominent in the 1979 takeover of the US embassy in Tehran, in which 52 Americans were held for 444 days. The State Department has already denied a visa to Aboutalebi, a career diplomat who has held posts throughout Europe. However, he said he would treat the law “as advisory in circumstances in which it would interfere with the exercise of this discretion”, as it could effectively curtail his power to receive or reject ambassadors. The opposition website Kalemeh claims that political detainees in Ward 350 of Evin Prison have been beaten, with several seriously wounded. Kalemeh said 32 prisoners were then transferred to solitary confinement. The head of State Prisons, Gholam-Hossein Esmaeili, denied the clashes, but Reporters Without Borders said it had information from sources in Iran that guards used “extreme violence, smashing TV sets, equipment and personal effects” and called on United Nations officials to investigate the “grave violations of the rights of political prisoners”. Those reportedly beaten and held in solitary confinement include journalists and bloggers Mohammad Sadegh Kabovand, Hossein Ronaghi Malki, Mohammad Davari, Saeed Matinpour, Siamak Qaderi, Said Haeri, and Yashar Darolshafa; lawyers Abdolfattah Soltani and Hotain Dolati; and activist Behnam Ebrahimzadeh. Deputy Foreign Minister Abbas Araqchi, Iran’s lead nuclear negotiator, has denied that he criticized President Rouhani for misinforming the Supreme Leader about Tehran’s right to enrich uranium. Araghchi said that a leaked audio tape of his remarks was “incomplete” and “taken out of context”. He maintained that “the letter that President Rouhani sent to the Supreme Leader mentions the continuation of our right to enrich uranium”.